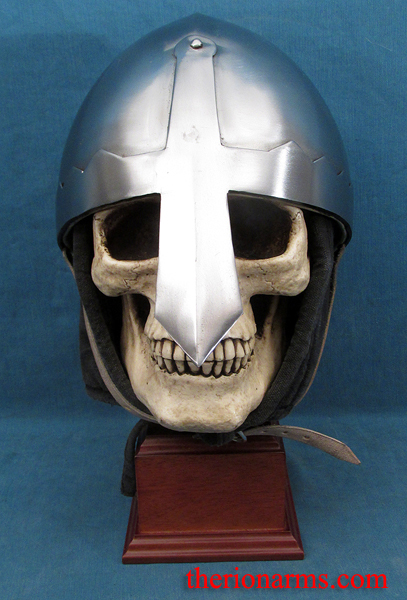 This nasal helm is in the style of Poland's famed Wenceslaus I, the righteous king who inspired the mythology of medieval monarchs whose power stemed from their great piety. (He also inspired the Christmas carol that's probably playing in your head right now). 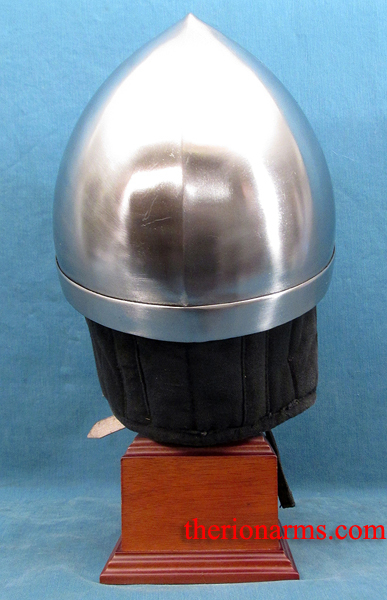 This helmet is of 16 gauge mild steel construction with a nasal that is a stylistic blend of the nasal of the original Wenceslaus helmet and of Norman helmets popular at the time (i.e. late 900's to around 1100). Ready-to-wear with a leather suspension harness and chinstrap.